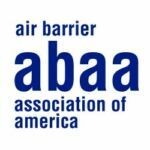 The Air Barrier Association is proud to announce that it is investing in expanding the scope and services that ABAA can provide its members. As part of this investment, you will see an increased effort in marketing for our members and the benefits of the quality assurance program. The goals is to increase ABAA specified projects and ensure projects go through the process and educate the construction team on the benefits. Another important part of this initiative will be promoting and expanding the education that we provide to the industry. Again and again, our members have told us that more effort in needed in educating the general contractor and architect. This will go a long way to meeting this need. As part of the process, we have brought a new team member on to lead the charge for sales and business development. Mr. Todd Parrott has been appointed Sales and Marketing manager for the association. Currently residing in Denver, Colorado, he has spent 16 years in the area of sales, territory management and business development in the fenestration industry. Prior to this, he ran a window contracting company for 7 years for installing windows and custom fenestration products. Todd has done numerous AIA presentations over the years and has a technical aptitude in construction materials, AAMA installation methods and 3rd party testing of the building enclosure. Increased support to Accredited Contractors trying to communicate the benefits of the ABAA QAP. Architectural training and education to specify and uphold the QAP through construction. The number one priority will be to help our members! Please feel free to reach out to Todd and engage him as a resource for sales, education efforts and project specific support.